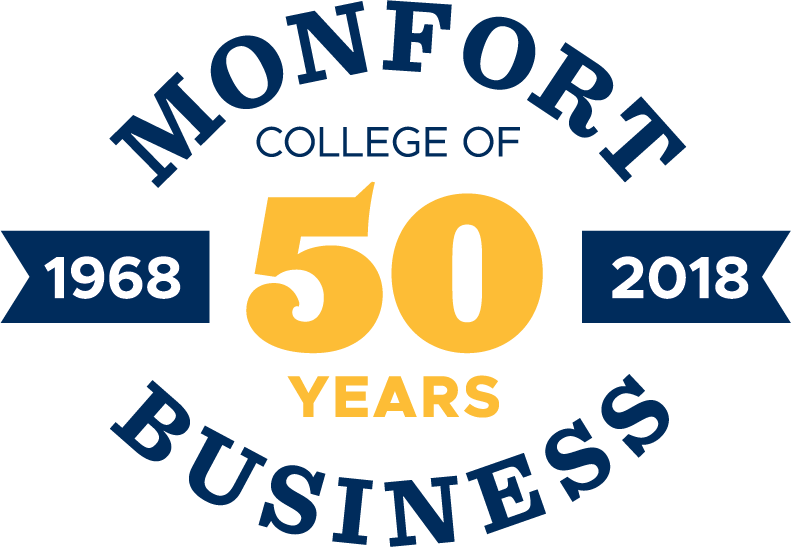 Join the Kenneth W. Monfort College of Business for the 50th Anniversary Gala hosted at the Ritz-Carlton, Denver on May 17, 2019. The gala will be the culmination of this year's anniversary celebration and the presentation of the 2019 Business Excellence Awards to Kevin Ahern '85 and Cheryl Wenzinger '72. Please email alumni@unco.edu with event questions or to sponsor seats for current students. Cocktail hour begins at 5:30 p.m. and dinner will be served at 7 p.m.